Did you know that Maier Tree & Lawn is the ONLY accredited tree care company in Rochester, Minnesota? Sure it sounds good, what does it really mean for our customers? We think this is a pretty big deal! Even completing the actual accreditation process means we go the extra mile to ensure safety, quality, and the highest standards. This is how we approach every job we do too—we go the extra mile to ensure safety and quality work done to the highest standards. In order to be accredited, Maier Tree & Lawn went through a voluntary process in which a TCIA representative evaluated the overall manner for which we conduct our business. “We would not have “passed the test” had our procedures and standards not been met by every one of our employees,” said owner Jay Maier. 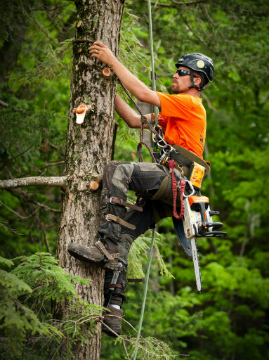 At Maier Tree & Lawn, we believe that our customers should expect nothing less than the highest level of service with the skills and proficiency of accredited tree care professionals. If you are in need of tree services, plant health care, or lawn care services, please contact the experts of Maier Tree & Lawn today!